If you want an injectable wrinkle filler that provides long lasting wrinkle correction, then ask Vixen Aesthetics about Bellafill. If you have used temporary wrinkle fillers in the past, then you know that they are eventually absorbed by your body and require frequent repeat injections to maintain the results you’ve come to love. 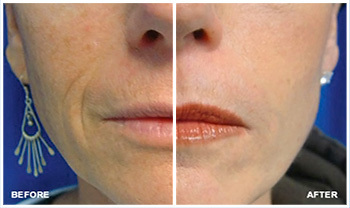 Bellafill is different from temporary injectable wrinkle fillers. The unique microspheres in Bellafill are not absorbed by the body and provide the support your skin needs for natural, long lasting results. Bellafill is different from temporary fillers that you have tried in the past. Temporary injectable wrinkle fillers are made of different kinds of natural or synthetic materials that are broken down and eventually absorbed by your body. As a result, wrinkle correction is only temporary and you may need repeat injections several months after the initial treatment to maintain your wrinkle correction. The unique microspheres are not absorbed by your body and work with your skin to produce collagen which provides the support your skin needs for natural, long lasting results. Bellafill is the long lasting solution for wrinkle correction. How Does Bellafill Work to Correct Wrinkles? Bellafill’s Microsphere-Enhanced Collagen Provides a Support Matrix for Long Lasting Wrinkle Correction. The unique microspheres in Bellafill are not absorbed by the body and create a support matrix for long lasting wrinkle correction by working together with your body’s own collagen. Upon injection, the collagen in Bellafill visibly reduces the wrinkles right away and the microspheres provide support for your skin. Your body’s own collagen works together with the microspheres to provide long lasting, natural feeling wrinkle reduction.